Last year I became an Aunty to a beautiful little boy called Theo. Recently I invited my sister Rachel to guest post on Mummy To The Max about her Turtle Tots journey which she has recently started on. Rachel and Theo attend Turtle Tots in Southampton. I am Rachel and mummy to Theo. Theo was born in October 2016 and is full of life! We love attending local groups together and meeting up with our baby friends and mummies for tea and cake! Theo is a happy content little boy who loves nothing more than noisy, shiny toys and loves being out and about! 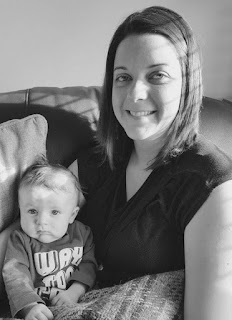 Mummy loves playing and singing to Theo and every day is made brighter by Theo’s smiles and giggles. Our Turtle Tots journey began when Theo was just a bump. I attended Turtle Tums with the lovely Hannah and each week enjoyed relaxing sessions; relieving the aches and pains during pregnancy and spending some ‘me’ time bonding with my bump. 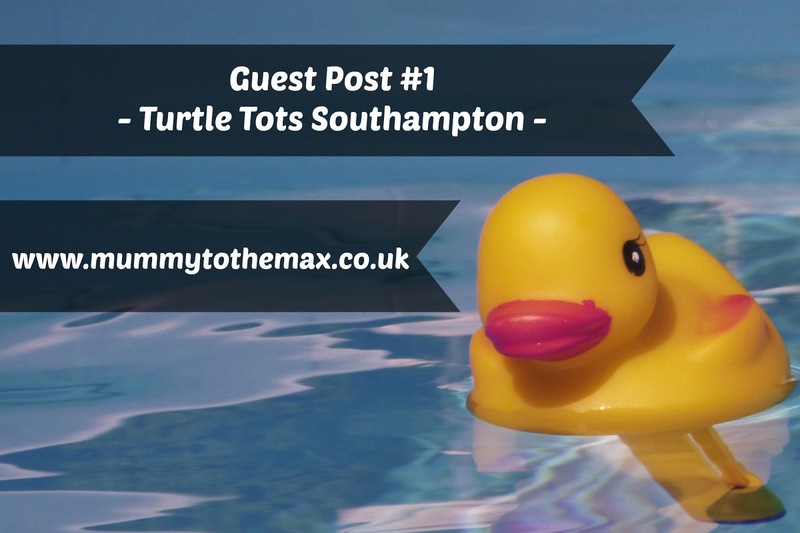 I was keen to introduce Theo to swimming early on to ensure he was taught a life skill and after my fabulous experience at Turtle Tums, I knew that Turtle Tots was the right choice for us both. Before our first lesson I felt slightly apprehensive at the thought of taking a 3-month old swimming but as soon as we arrived at the pool we were instantly put at ease and made to feel welcome by Hannah and Beka. Our first session was Theo’s first experience of being in the pool and he looked relaxed and happy. During our first session we learnt the safety hold, an important position to ensure baby is safe when given instructions and a great opportunity for them to be social with the other babies in the group. We were introduced to the first steps of front and back swimming and an emphasis was placed on the correct hold. Level 1 is all about building the babies’ confidence in the water and through splashing and dipping Theo into the pool he was able to start learning the important cues of swimming. It was made fun by using songs to make the babies feel at ease and equipment to engage them. There were 8 babies in our group and this was a good size, allowing Beka to have a chance to individually work with each baby. The session was 30 minutes and this felt an appropriate time for the little ones to spend in the water! We both really enjoyed our first session. Theo’s first ever swimming experience is definitely one to remember and we are looking forward to our next session and sharing the rest of our journey with you!